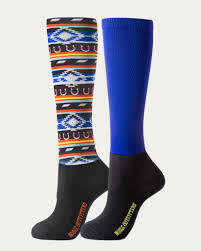 Looking for a great boot sock that stays in place the whole day long? We’ve got The Best Dang Boot Sock you ever wear right here at Farmer’s Co-op! 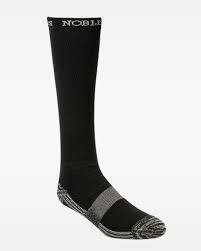 The Best Dang Boot Sock ™- Unisex Crew Sock by Noble Outfitters is a perfect, lightweight performance sock paired with heel-to-toe padded protection and an arch compression band that keeps you comfortable all day long. For you fashion forward folks, the Over The Calf Peddie socks, gives you heel-to-toe padded protection while Opti-Dry Technology that wicks away moisture. And they look great too! Stop by Farmer’s Co-op and pick up a couple pairs today. Selection varies by store. This entry was posted on Monday, November 9th, 2015 at 3:43 pm	and is filed under News & Updates. You can follow any responses to this entry through the RSS 2.0 feed. Both comments and pings are currently closed.